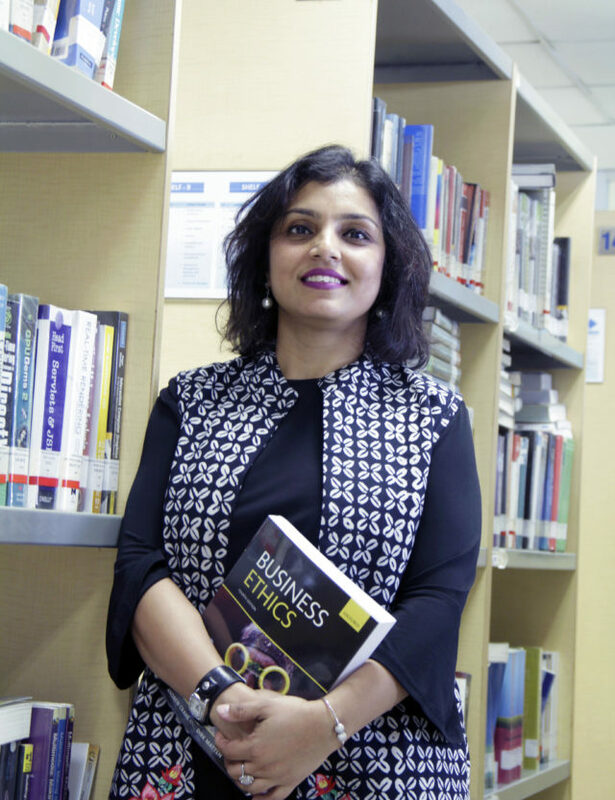 A second -career academic, Sanjukta researches and teaches Business Ethics and ASEAN Business at Faculty of Business, BINA NUSANTARA University, Senayan Campus. She is passionate about diversity and marginalised issues in management. Sanjukta has a PhD from Monash University Business School in the area of CSR and Disability at Workplace (2015). She was awarded full scholarship and school research grant. She is a recipient of the 2016 Jan Schapper Award in Critical Business Ethics. She was nominated for the 2015 Mollie Holman Doctoral Award, Monash University Best Thesis (School of Business). She is also one of the top twelve candidates selected by University of South Australia, School of Management for the 2011 International PhD Student Competition (Australia). As a 2006 British Chevening Scholar, she graduated from Nottingham University Business School, UK, International Centre for CSR (ICCSR), with a distinction both for her dissertation and MA in Corporate Social Responsibility (2007, UK). She earned her first Master’s in Communication Studies (Media Research) with a first class degree from University of Pune (India) and has an undergraduate degree in Sciences (Mumbai University, India). Prior to her recent shift in academics, she has enjoyed a decade long professional industry experience She is a recipient of Young PR Professional of the Year – Asia Pacific COE, Hong Kong (2002); World Class Communication Professional Cummins Inc. (2001). She is a trained 6 Sigma Green Belt (2002) and a Diversity Trainer (2000) with 240 hours of formal practice. In 2005, she completed her global intern ship with Brodeur Pleon (London). Dr. Sanjukta, faculty of International Business program was introduced in LENS by Monash University. Business Ethics; Disability, Gender, Indigenous Communities, ASEAN. Choudhury -Kaul S., Sandhu, M.S., & Alam, Q. Researching the history of marginalized issues in management research: A proposed interpretive framework, Journal of Management History (Forthcoming, Issue 2, 2019). Choudhury -Kaul S., Sandhu, M.S., & Alam, Q. (2016). Researching marginalized issues in management history: An interpretive framework: The case of business response to disability in colonial and post-independent India (ABEN), Conference Title: Business Ethics Theory in Practice, December 05-06, 2016, University of Griffith, Brisbane, Queensland, (Australia). Choudhury- Kaul S., Sandhu, M.S., & Alam, Q. (2016). Asylum, Bequeaths and Charities: Business response to disability in colonial India Academy of Management Conference (AOM), Conference Title: Making Organizations Meaningful August 05-09, 2016, Anaheim, California (USA). Proceedings available at http://proceedings.aom.org/content/2016/1/14829. Choudhury- Kaul S, Sandhu, M.S, & Alam, Q. (2014). Asylums, bequeaths and charities: Historical perspective on shaping of the business response to disability until the middle of twentieth century. Conference paper at Asia Pacific Economic and Business History Conference (APEBHC), Conference Title: Economic consequences of war and conflict, February 13- 15, Waikato Management School, University of Waikato, Hamilton, (New Zealand). Choudhury- Kaul S (2011, November). Disability and CSR: Thinking beyond labels. International Student PhD Competition, University of South Australia, Division of Business, School of Management, Adelaide (Australia). Kim, C. H., Choudhury- Kaul S, & Hamzah, S. (2011, June). The Role of Religion in CSR: South-East Asian Context. Presented at the CSR symposium in China, Nottingham University Business School (NUBS), Ningbo Campus (China). Choudhury- Kaul S. (2011a, June). Disability and CSR: Thinking beyond labels. 3MT ™ Business school finals, Monash University, Sunway campus, Kuala Lumpur (Malaysia). Choudhury- Kaul S. (2010). Empirical investigation of corporate response to disability at workplace and assessment of its impact. Presented at the Business School Doctoral Colloquium, Penang, (Malaysia). ASEAN CSR NETWORK GRANT (2017), Lead Researcher, awarded the ASEAN CSR Vision 2020 Small Grants Fund, offered by the ASEAN CSR Network with the support of the Government of Sweden. Research Area: Disability and role of Business in Myanmar. January 2001 World Class Communication Professional Cummins Inc.